Simplicity is often most beautiful. 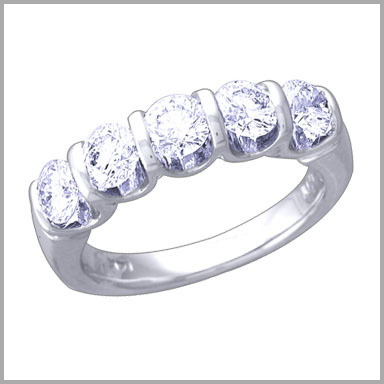 This lovely ring is made of your choice of 18K white gold and features a sparkling row of five round full cut diamonds in channel settings.The diamonds weight of the ring is approximately 2.00ct. with H in color and SI2 in clarity.This ring will surely be treasured by the woman lucky enough to receive it.